Japanese artist Kikuo Saito, who passed away on February 15, 2016, at the age of 76. Courtesy Leslie Feely, New York. Kikuo Saito, known for his abstract, color-field paintings, Butoh-influenced set designs and wordless performance-plays, died on February 15, at age 76, in New York City, where he had lived for 50 years. Born in Tokyo in 1939, Saito arrived in New York in 1966. 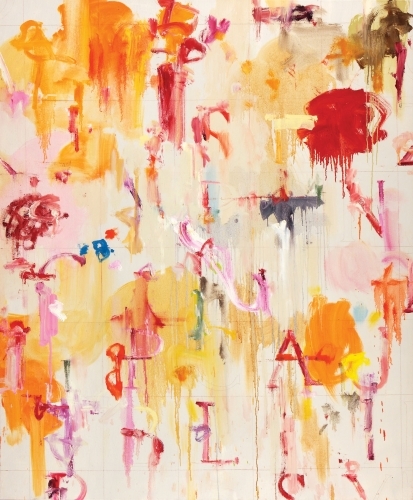 He studied art at the Art Students League, and during the 1970s and ’80s he worked as a studio assistant to some of the most prominent New York abstract painters of the day, including Kenneth Noland, Larry Poons and Helen Frankenthaler. He began exhibiting his own paintings in 1976 at Deitcher/O’Reilly Galleries in February 1976, and held more than 50 solo exhibitions throughout his career at galleries across the United States and Europe. He taught at the Art Students League up to the time of his death. Saito was a resident at the experimental La MaMa Experimental Theater Club, where he worked with Jerome Robbins, Peter Brook and Robert Wilson, and created his own memorable sets. Even before Saito moved to New York, he had been active in creating dance and theater sets in Japan, beginning in 1965 at Waseda University in Tokyo. He worked on Wilson’s 1972 contribution to the Sixth Festival of the Arts in Shiraz, Iran, entitled KA MOUNTAIN AND GUARDenia TERRACE: a story about a family and some people changing, which took place outdoors over the course of 168 hours (or seven days). 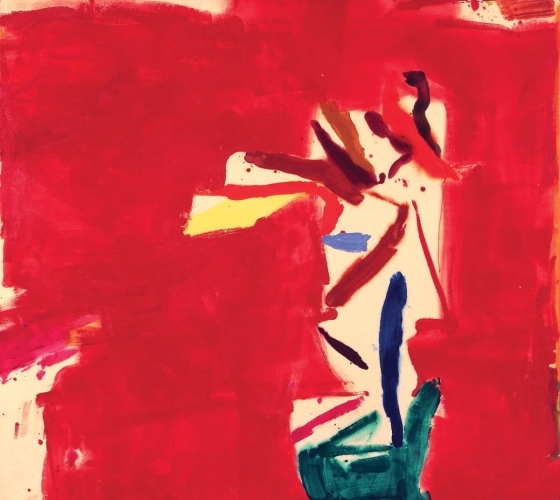 After concentrating on painting from the mid-1970s to the mid-1990s, he and his first wife, Eva Maier, collaborated on a silent production of Toy Garden (1996) while a resident at Duke University. They were inspired by Vittore Carpaccio’s Two Venetian Women on a Terrace—a painting famous because it appears to be just a fragment of a larger composition and features just the head of a dog. The performance was later reprised in New York at La MaMa Experimental Theatre Club. Another theatrical production, Ash Garden, about the city of Pompeii, was staged at the La Guardia High School of Music, Art and Performing Arts, in 2001. Experimental theater stage director and playwright ROBERT WILSON’s tributary poem to Kikuo Saito, with whom he shared a long-term friendship. Courtesy the artist. Saito’s artworks are held in the collection of numerous international corporations, including AT&T, Chevron Oil, HJ Heinz, Northrop, PepsiCo, Pfizer, Siemens and Estee Lauder, as well as the collections of the Museum of Modern Art, the Whitney Museum of American Art, Duke University Museum and the Aldrich Museum. After his death in February, Robert Wilson created a graphic-poem tribute to Saito, “For him I am hymning him for my friend / For this day is for him my friend for him.” Saito is survived by his wife Mikiko Ino.